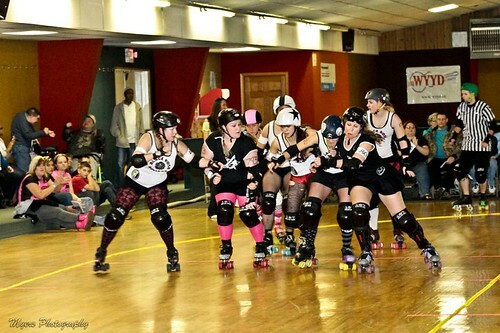 Blackwater’s season is up and running as we completed our first home bout of the season. 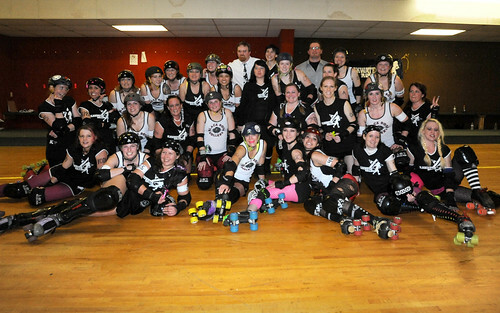 Thank you to the Blackrose Rollers who traveled all the way from Hanover, PA to meet us on the track. 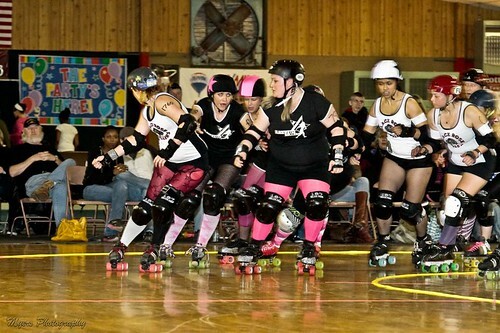 It was a tough bout and Blackrose skated away with the victory but we enjoyed every jam of this bout. Thanks to our fans who packed the house, Richie, Mangia, DJ B Psi, all of our sponsors, refs, NSO, Rick Myers photography, Fly Swatta for traveling, Appomattox Rescue Squad, AJ Skateworld and every person who worked hard to help pull off these bout. Up next, we hit the road for Charlottesville for our first home match against the Dames. Stayed tuned for more info!